One gorgeous bed called Pali Lucca Forever Crib will be the focal point in your child's room from infancy to adult size. The soft White finish is perfect for bedding and decor of bold pink and purple, pastel yellow and green, baby blue and brown. In other words, White is a wonderful finish for boys and girls so have some fun! Even a boy will appreciate the high quality and European design of this magnificent bed in White finish. Converting to toddler bed and full size is a breeze and no worry moving it around with nylon glides protecting floors. 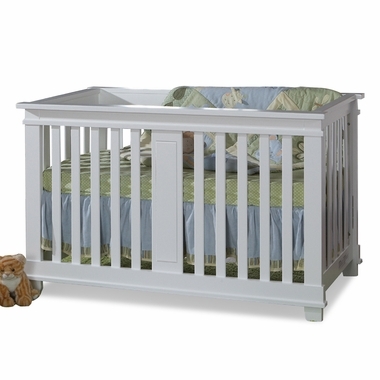 This Forever Crib is crafted for durability and designed for admiration and your kid will love it forever. 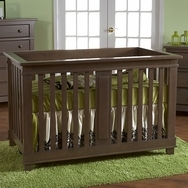 Lucca Crib measures 57.25" x 31.25" x 37"